I rolled to the left. Then I rolled back to the right. I stretched out one leg, then I stretched out the other. I reached out my arm, fluffed my pillow, and tried to prop myself up. Nothing helped. That was me two nights ago, lying in bed unable to sleep. I’m in the third trimester of my pregnancy, and my short torso is struggling to accommodate my growing belly. I’ve had bouts of discomfort until now, but recently the aches have heightened into a sharp, constant pain on my right side. It feels like a knife is permanently stuck between my ribs, and there is no position that relieves it. Two nights ago the pain became so severe that I couldn’t sleep at all. Each time I drifted off, the pain would surge and jolt my tired body awake again. This is the second time I have been pregnant during Advent, a season that is–essentially–about pregnancy. At the center of it is a pregnant woman, Mary, awaiting the birth of her son. As Christians we join in that waiting, collectively remembering a moment in history that was pregnant with anticipation, longing, and hope. The last time I was pregnant, I spent a lot of time thinking about Mary’s own pregnancy–mostly the physical side of it. 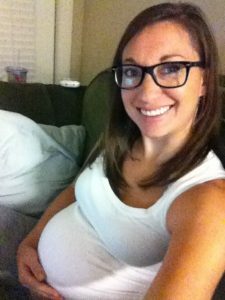 It wasn’t until I experienced pregnancy myself that I even considered the toll on her body. 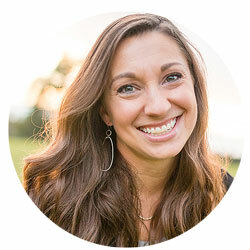 In addition to the fear and uncertainty of her situation, Mary probably dealt with nausea, back pain, heartburn, shortness of breath, swollen ankles, and an increasingly pressured bladder. Two nights ago, as I lay in bed trying to alleviate the pain, my thoughts drifted back to her. She knew what it was like. Mary, the mother of God, was my sister in this. However as the hours went by, and my frustration grew, my thoughts drifted to someone else: the baby, growing inside Mary’s belly. Mary endured a lot to give her son life, but 30 years later he would do the same for her. Did Jesus know what I was going through too? Jesus was never pregnant in a literal sense, but he was certainly “pregnant” with the new life of our souls. He laid down his body, his comfort, and his ease so that new life could spring forth. Yes, he knew something about the pain of my pregnancy, right down to the piercing of my ribs. In that sense, pregnancy is a beautiful window into the sacrifice of Christ. It’s not suffering simply for suffering’s sake, but a kind of pain that produces life. Mary experienced this kind of life-giving pain, as did Jesus, and countless women ever since. That’s one of the ways women can understand Jesus’ sacrifice. It’s also how we know that Jesus understands ours. That’s what I love about Jesus’ story–it’s like God wanted women to know that He gets us. That He sees us. That He understands the special challenges facing His daughters. He wove the experience of women into the gospel, book-ending Jesus’ time on earth with a pregnant woman and a pregnant Christ. Of course, pregnancy does not encompass the experience of being a woman, but it does hint at the deeply physical experience of it. Between cramps, mood swings, and menopause, it’s hard for women to ignore our bodies. And I can’t help but think God designed us that way–or at the very least, is redeeming it for good–as we serve a God who Himself took on bodily form. That’s why the pregnancy of Advent, and the embodiment of God in Jesus, helps me to embrace the redemptive role of my own body, limitations and all. Rather than strain against the hormones, the discomforts, the emotions, and the challenges that are uniquely tied to having a woman’s body, I can lean into the God who saw value and beauty in taking on the human form. Rather than view my body as a liability that burdens me or holds me back, I can see my body as a vessel of grace. That’s a truth I’ll hold onto this Advent season, as I continue to struggle with the aches and pains of this pregnancy. Advent is a time when we remember the role of a woman’s physicality in the story of God. Mary sacrificed her body to bring about new life, a sacrifice that foreshadowed the bodily sacrifice of her son. We get to continue that witness. This Advent, as the people of God are pregnant with anticipation of the coming Christ, I encourage you, my women readers, to remember your own role in reflecting the story of God. God created you–body and all–to reflect his glory. Even the hormones. Even the emotions. Even the stretch marks. We don’t have to be ashamed, because they all point to Him. Beautiful and insightful meditation. Thank you. And if you’re not a mother…? Jennifer, I was thinking a lot about women who don’t have kids, or didn’t give birth to their children, as I wrote this, and it was important to me not to make pregnancy out to be THE definitive female experience. Although pregnancy is certainly something that women experience that men don’t, there is a lot more about the physicality of womanhood that is also unique to us–having monthly periods, having hormones that influence our emotions, going through menopause, etc. I don’t know if you saw that section in this post, but I think those aspects of womanhood also root us to our bodies in a way that men don’t always experience, and help us to uniquely reflect the incarnation–God in bodily form–in our own important ways. I hope that makes sense! Love this picture of pregnancy, great post!